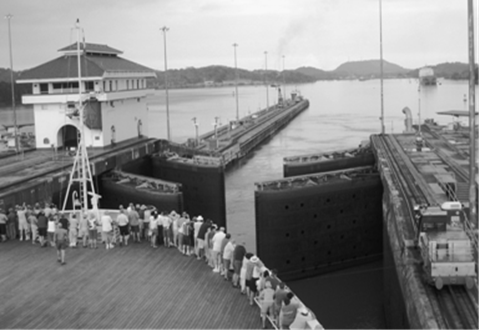 Here, in a sample chapter from PANAMA CANAL DAYis everything you need to know about planning your Panama Canal Cruise. If you are just in the planning stages for cruising to Panama and the Panama Canal, you should be aware that there are basically five different types of cruises to Panama. 1. There are Cruises that only call at a Panamanian port. 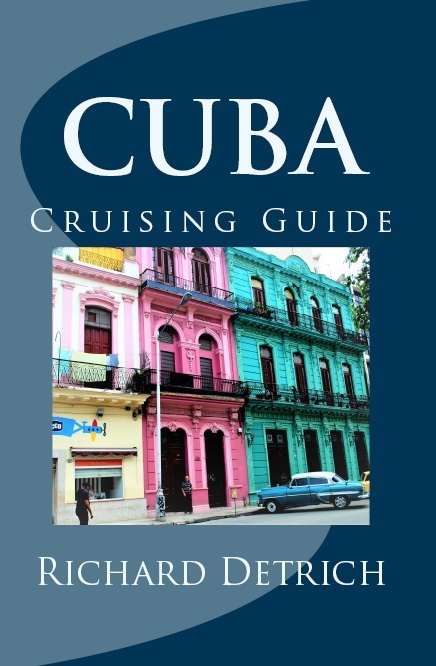 These cruises make a port call either on the Pacific side at Amador [a/k/a “Fuerte Amador”], or on the Atlantic/Caribbean side at Colon. There are options for a variety of shore excursions that will allow you to get off the ship and experience some of Panama, including taking a small ferry through the Canal. 2. Southern Caribbean Cruises enter the Canal, go through Gatun Locks, disembark guests going on ship-sponsored tours, turn around and return through Gatun locks to Colon to await the return of guests on ship tours. There are a variety of excursions which, due to Canal regulations, can only be booked through the ship since you are disembarked in a secure area of the Canal. Guests remaining on board have a brief stop in Colon, with really only enough time to visit the super market and a few tourist shops at the pier. Colon is not a city to wander around on your own, even right around the piers. 3. Ships that homeport in Panama, that is, you embark and disembark the ship in Panama. Guests on this type of cruise can book pre or post cruise stays in Panama or stay independently in order to experience the Canal and some of what Panama has to offer. 4. Ships transiting the Panama Canal go through the Canal from one ocean to the other, but do not actually stop in Panama or allow guests to get off and experience Panama. In the spring and fall repositioning cruises between Alaska and the Caribbean generally just transit the Canal, without stopping in Panama. 5. Ships transiting the Canal that stop in Panama. Happily more and more itineraries are including the chance to actually see something of Panama. There are a lot of itineraries offering a full day in Panama either before or after the Canal transit day. Now the dreaded question: “Which is best?” Generally there is no “best” … it all depends on you, and what you want out of your experience. My personal preference is for an itinerary that allows you to experience some of Panama in addition to just seeing the Canal. You are coming all of this way to what is likely a new country, so why not see at least some of Panama? I wouldn’t make the decision on cruise line loyalty alone. Carefully study the itineraries to see what itinerary really matches your interests. Almost all cruise ships transit the Canal during the day, so “daylight transit” is exactly what you’d expect from everyone. Look carefully at the kind support that is offered on board to provide you with background information that’s more than just talking about tours and preferred shops, i.e. qualified people who present interesting lectures about the Canal and Panama. Don’t make your decision based on price alone. A transit of the Panama Canal is the “trip of a lifetime” for most people, different from a week-long Caribbean get-away for sun and fun. Although price is obviously a factor, it shouldn’t be the determining factor. 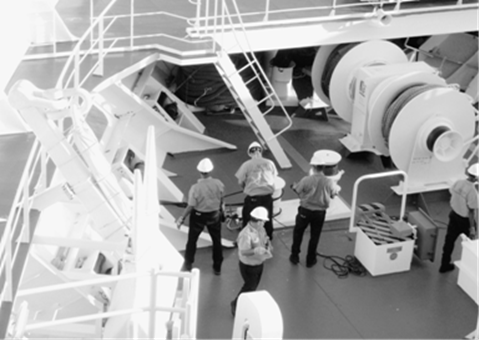 On some ships the bow of the ship, if it is not filled with winches and equipment, is a crew-only area. Other ships open the forward deck on the bow so guests, and not just crew, have the best vantage point entering the locks. On other ships, because accessing this area may involve guests going through other crew areas, the best viewing area is closed to guests. I’ve sailed through the Panama Canal, even sailed out of New York City at sunset, with guests all crowded to the rails, while the crew enjoyed the million dollar view. There is no one “best” vantage point on the ship for the transit. If you want to get the most out of your day in the Canal, move around the ship. Coming into the locks the forward part of the ship is the best place to be. When the ship is in the locks move around! The view from the aft end is totally different. Sometime when you are in the locks go down to the promenade deck and you will really appreciate just how little room there is to spare! It is so close that you feel as if you can almost reach out and touch the sides of the Canal. If you have a balcony the best time to enjoy that vantage point is when you sailing through Gatun Lake. If you have an outside cabin without a balcony on lower deck, sometime while you are in the locks, run down to your cabin and look out the window. Outside you will see the massive wall of the lock, just inches away! 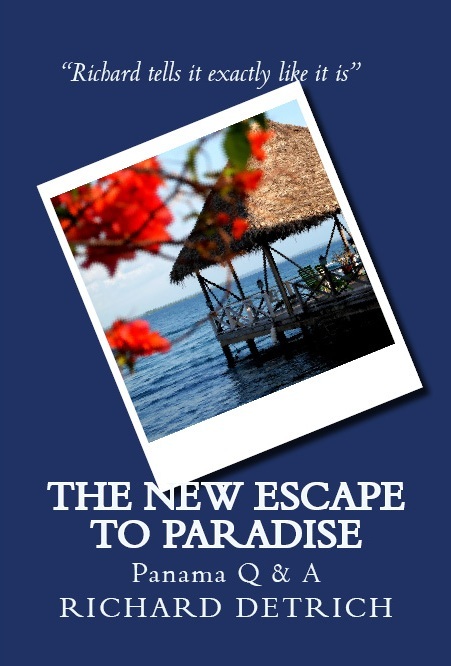 There are a number of places where guests are embarked and/or disembarked in Panama. The two main ports are in Colon on the Atlantic side. 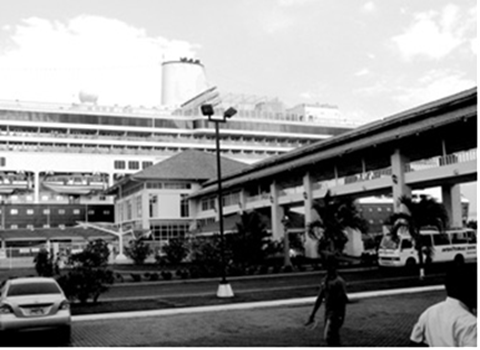 In addition guests are sometimes disembarked in Gatun Lake to go on ship-sponsored excursions. Only guests with ship-sponsored excursions are allowed by the Panama Canal Authority to disembark in Gatun Lake, since it is a secure area. On this ship the foredeck was opened so guests could enjoy the view entering the locks. Amador is the causeway created at the Pacific entrance to the Panama Canal, a long strip of land created by joining together a number of small islands. The Pacific port is frequently called Fuerte Amador, which is part of the Amador peninsula, part of Panama City. There are continuing discussions about building a real cruise ship port in the Panama City area, but to date neither the government nor the cruise lines have committed to such development. So the Pacific side is a tender port, involving about a forty-five minute tender ride from the ship to the marina at Fuerte Amador. If it is a clear day, or a clear night, you will have fantastic skyline views of Panama City during the tender ride. The causeway divides the Bay of Panama from the Canal and offers fantastic views of the new Panama City across the Bay. A military installation during the U. S. Canal Zone days, today the Amador Causeway is a favorite place for locals to jog, ride bikes, walk dogs, or just sit and enjoy the views. There are shops, restaurants, discos, a big new convention center, marinas, an outpost of the Smithsonian Tropical Research Institute, and the new Bridge of Life Museum of Biodiversity designed by Frank Gehry. It is about a thirty minute cab ride, depending on traffic, from Amador to downtown Panama City or the old French part of the city, Casco Viejo. There are usually taxis available and the giant red Hop On Hop Off Bus picks up at the port. There are two piers used by cruise ships in Colon, Colon 2000 and Home Port. Colon 2000 is favored by cruise lines owned by Carnival Corporation. It offers some local shops and souvenir stores. In the same complex is a very nice Radisson hotel and Super 99, a big Panamanian grocery store chain. Home Port is a very new, functional terminal favored by Royal Caribbean and designed to embark and disembark several thousand people at once. Royal Caribbean homeports one Royal Caribbean ship and a vessel from its Spanish subsidiary in Colon. During the days of the U. S. Canal Zone, Colon [Columbus] was the Panamanian section and Cristobal [Christopher] was the U. S. Canal Zone section. For many years cruise ships stopped at Pier 6, known as “Cristobal.” Pier 6 was an old, traditional pier, like ones you used to find in New York, and San Francisco. It was built by the United States in 1919 as a coaling station. It was a great port with lots of shops and Indigenous stalls selling beautiful craft items. Unfortunately, since containerized shipping is more profitable for a port than cruise traffic, Pier 6 was demolished in 2010. Colon 2000 and Home Port will not allow Indigenous vendors unless they rent traditional retail space which is totally unaffordable for Indigenous vendors. Colon is not a city to walk around in and explore on your own. There is a lot of poverty and the accompanying problem of street crime. And there isn’t anything to see in Colon. All the interesting stuff in Panama is an hour to two hour ride away from Colon. The easiest, safest and most efficient way is to take a ship’s tour. Colon is a commercial city, home to the world’s second largest free port, the Colon Free Zone which does $21 billion a year in trade and exchanging wholesale goods. The Colon Free Zone is not a “duty free” shopping area for tourists, but a gigantic distribution point for container loads of goods to be shipped across the Americas. Colon is not designed for cruise tourism and even Panamanians don’t consider it a safe city in which to wander about. Ships advise that you remain within the confines of the terminal facilities, and even there you need to be cautious. Hopefully the Panamanian government will get its tourist act together, get more jobs into Colon and use the locals to clean up the place and at the same time raise the standard of living in Colon. With remnants of French architecture from the French Canal era, Colon could be a charming tourist attraction if it were cleaned up. As it is, the James Bond movie “Quantum of Solace” used it as a Haitian look-a-like. What kind of “recommendation” is that? It is about an hour taxi ride to Panama City and the Tocumen International Airport, located outside of Panama City. There are sometimes cabs and vans available to assist you, but be prepared to pay. Frequently the cab will have to dead-head back to Colon, so that gets factored into the cost. In terms of your day in the Canal, the stateroom you have really doesn’t make much difference. While you are in the Canal, and particularly while you are in the locks, it is best to be out and about, viewing the Canal and the transit from as many different perspectives as possible. There is nothing like having a verandah on a cruise in general, if not specifically for your time in the Canal. If you have a verandah cabin the time to enjoy it is while you are cruising Gatun Lake. Many cruise lines offer special champagne breakfast or lunch served on your verandah. This is a great treat for your day in the Canal. As a former travel agent, and crew member, let me give you some advice about selecting your stateroom: you get what you pay for. Sometimes people see a string of cabins in a certain category, and right in the middle, is what looks like the same type cabin but in a different color and at a lower price. There is a reason for the lower price! Maybe there is noise from a crew stairway, behind an elevator, or next to a pantry which doesn’t appear on the deck plan, but where cabin stewards will hang out and talk loudly, or it is underneath a piece of equipment that makes some noise. Unfortunately for guests, most cruise lines have streamlined deck plans so as not to show any white spaces, because they know people will avoid staterooms next to white spaces on the deck plan. You won’t feel any motion when you are in the Canal, but if you are concerned about the motion of the ocean on the rest of your voyage, book a stateroom as close to the center of gravity as possible. This is usually a point not only midships, but also midway between the top deck and the lowest deck, including the decks under water. At certain times of the year the Caribbean may get rough due to tropical storms, or you may be going against the current in the Pacific along the western coast of Central America. If you have motion sensitivity, or, in more descriptive terms, tend to puke your guts out when it gets rough, pay attention to the location of your stateroom. Yes, ships have stabilizers, but because they create drag, stabilizers are less efficient for fuel consumption, and since the captain wants his fuel efficiency bonus, stabilizers frequently are not used, particularly at night. I have had fleet officer cabins on the navigation deck, between the bridge and most expensive passenger suites, so you’d think it would be a great location, but I rocked and rolled continually. And I’ve had cabins downs below in the crew areas where there was virtually no motion, because the cabins down in the crew area were closer to the center of gravity. 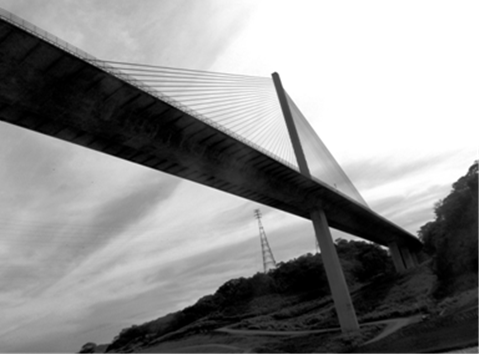 If motion is a concern, get as close to the center of gravity as possible which is generally midships on lower decks. For the most part, you get what you pay for. The oversupply of cruise berths and the high cost of fuel have made pricing very competitive. Cruise lines have been cutting anything that can be cut in order to eke out a profit, while at the same time hiring advertising and public relations people to convince you otherwise. When we were in the travel agency business twenty years ago and cruise lines were moving away from the “all inclusive” concept, we used to think of it in terms of peeling an onion. We thought there is only so much you could peel off before nothing was left. We were wrong! They are still peeling! The difference between profit and loss for a cruise line is often determined by on board revenue. Filling the ship means you keep it operational and keep the crew employed. It is on board revenue that makes a modest profit, and so you have restrictions on bringing your own alcohol on board and the ship is pushing weddings, teeth whitening, unimaginable spa treatments, art sales, sidewalk sales, Botox, etc. It makes you wonder what’s next. Plastic surgery? “Mildred, the world cruise must have agreed with you! You look years younger?” Weddings on board are big business, so can funerals be far behind? I’d recommend against just picking the least expensive stateroom on the cheapest cruise line. Cruise lines have become just like hotels. Both Four Seasons and Days Inn both give you a clean, comfortable place to sleep and a bathroom, but there is a huge difference in price, service and quality. If you don’t want to feel like you are being “nickel and dimed,” book an all-inclusive cruise. You’ll pay a whole lot more, but you get what you pay for. Booking direct or with a travel agent? As a former travel agency owner I can tell you that if people booked with us, and the cruise line came along with a lower price, we would proactively fight for our clients to either get the new lower price or an upgrade. Generally that does not happen automatically, unless you or your travel agent keep after the cruise line. Believe me, a travel agency that’s producing a lot of business for a particular cruise line, has a lot more clout than you do. The other side of that coin is that a travel agency is naturally going to steer you to the cruise line that gives them the highest commission override, is the easiest to work with, and is their preferential partner. If you are just looking to do a transit of the Canal, without necessarily spending any time ashore, the best rates can often be found on repositioning cruises. In the spring the major cruise lines are repositioning ships from the Caribbean to the more profitable Alaska routes, and in the fall they are bringing ships back to the Caribbean. The cruise lines who send the most people through the Panama Canal are Princess, Holland America and Celebrity. Many times I’ve encountered guests on board ships transiting the Canal who just assumed the Canal was largely dependent on their business. Actually the passenger transit segment accounts for only 8.9 percent of Canal revenue. In 2013 there were 206 passenger ship transits carrying 225,367 passengers. Copyright RLD 2014 All rights reserved.